“Once Upon a Time a Sparrow” by Mary Avery Kabrich is an inspirational heartfelt story about growing up with a learning disability and using those experiences to help others. After her mother passes away, school psychologist Dr. Mary Meyers, returns home to sort through and clear up her possessions. While she is going through a trunk, she finds a tattered old black coat that she wore as a child. The coat throws Mary back into memories of her past where she was Maddie, a nine-year-old, struggling with dyslexia. Reliving these memories brings up a lot of anger for Mary, and presents itself at school, where she has to deal with teachers who do not understand the full scope of what it is like to be a child with a learning disability. At first Mary is too ashamed to admit that she was also one of these children. These painful emotions push her to go into therapy, and she must decide whether or not she will be able to use her experiences as an example to inspire her students and their parents. 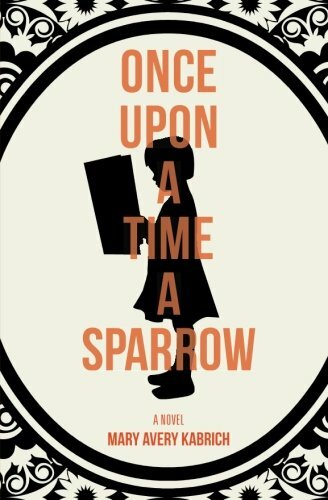 “Once Upon a Time a Sparrow” is written in fictional format, yet it is based on the author’s personal experiences of being a child with dyslexia. Having worked with individuals with learning disabilities for over 25 years, I found this story to be inspirational for students with learning differences, their parents, and the professionals who work with them. In addition to receiving help from a professional who knew how to work with her, Maddie also uses her imagination to teach herself how to overcome her limitations. The imaginative part of this story makes it fun for all fans of fictional stories. Maddie had a book that allowed her to take her imagination into the world of fairies. Thinking back to special books that were in my childhood, I suspect that most of us can relate to this. As I was reading “Once Upon a Time a Sparrow” several of my talented, intelligent, community college students with dyslexia came to mind; two in particular. Both of these young ladies graduated with honors, yet felt hindered by their dreams of teaching. One of them recently decided to pursue it anyway. I called the other one to tell her about this book, because after all, it is based upon the real experiences of the author. This young lady, who is now at a university, was considering child psychology, however, shortly after we talked she sent me this message, “LOL, it’s funny because I never saw myself as a teacher. I always steered clear of that path because I was afraid of my disability affecting my job. But it turns out that that’s something I’m just more familiar with – kids and education.” She is now going to pursue elementary teacher education! For this reason, and for pure enjoyment, I highly recommend reading, “Once Upon a Time a Sparrow” by Mary Avery Kabrich.